The Tabernacle Choir provided the music for the Saturday morning, Saturday afternoon, Sunday morning, and Sunday afternoon sessions. Craig Jessop and Mack Wilberg directed the choir. John Longhurst, Clay Christiansen, Richard Elliott, and Bonnie Goodliffe were the organists. A priesthood choir from Brigham Young University provided music for the priesthood session. Ronald Staheli directed the choir, and John Longhurst was the organist. Throughout the conference sessions, prelude, postlude, and interlude music and accompaniments on the organ were played by John Longhurst, Clay Christiansen, Richard Elliott, and Bonnie Goodliffe. From the May 2007 Ensign — Music by a Young Women choir from stakes in Provo, Utah; Merrilee Webb, director; Linda Margetts, organist: “I Am a Child of God,” Hymns, no. 301, arr. Perry, unpublished (French horn: Mary Wood-Lampros); “If the Savior Stood Beside Me,” DeFord, arr. DeFord, unpublished; “I Stand All Amazed,” Hymns, no. 193, arr. Manookin, pub. Jackman (flute: Kathleen Ellingson; harp: Sarah Edwards); “As Zion’s Youth in Latter Days,” Hymns, no. 256, arr. adapted by Kasen, pub. Jackman. From the May 2007 Ensign — Music by the Tabernacle Choir; Craig Jessop and Mack Wilberg, directors; Clay Christiansen, organist: “Glory to God on High,” Hymns, no. 67; “Sweet Hour of Prayer,” Hymns, no. 142; “Put Your Shoulder to the Wheel,” Hymns, no. 252, arr. Wilberg, unpublished; “We Thank Thee, O God, for a Prophet,” Hymns, no. 19; “Search, Ponder, and Pray,” Children’s Songbook, 109; “Come, Thou Fount of Every Blessing,” Hymns (1948), no. 70, arr. Wilberg, pub. Oxford. From the May 2007 Ensign — Music by the Tabernacle Choir; Craig Jessop and Mack Wilberg, directors; John Longhurst and Richard Elliott, organists: “Redeemer of Israel,” Hymns, no. 6, arr. Wilberg, unpublished; “Come, Come, Ye Saints,” Hymns, no. 30, arr. Wilberg, unpublished; “We Love Thy House, O God,” Hymns, no. 247; “How Firm a Foundation,” Hymns, no. 85; “This House We Dedicate to Thee,” Hymns, no. 245, arr. Wilberg, unpublished; “The Spirit of God,” Hymns, no. 2, arr. Wilberg, unpublished. From the May 2007 Ensign — Music by a priesthood choir from Brigham Young University; Ronald Staheli, director; John Longhurst, organist: “Rise Up, O Men of God,” Hymns, no. 324, arr. Staheli, unpublished; “Brightly Beams Our Father’s Mercy,” Hymns, no. 335, arr. Hopkins, unpublished; “Now Let Us Rejoice,” Hymns, no. 3; “I Love the Lord,” music from Hymns, no. 124, text by John Sears Tanner, arr. Staheli, unpublished. 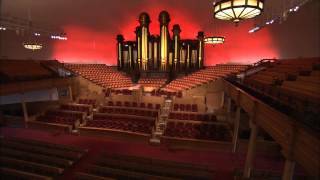 From the May 2007 Ensign — Music by the Tabernacle Choir; Craig Jessop and Mack Wilberg, directors; Richard Elliott and Clay Christiansen, organists: “Rejoice, the Lord Is King!” Hymns, no. 66; “The Lord My Pasture Will Prepare,” Hymns, no. 109, arr. Wilberg, unpublished; “I Am a Child of God,” Hymns, no. 301; “High on the Mountain Top,” Hymns, no. 5; “For He Shall Give His Angels to Watch Over Thee,” Mendelssohn, ed. Jessop, unpublished; “When Faith Endures,” Hymns, no. 128; “O My Father,” Hymns, no. 292, arr. Gates, pub. Jackman. From the May 2007 Ensign — Music by the Tabernacle Choir; Craig Jessop and Mack Wilberg, directors; Bonnie Goodliffe, organist: “From All That Dwell below the Skies,” Hymns, no. 90, arr. Wilberg, unpublished; “There Is Sunshine in My Soul Today,” Hymns, no. 227, arr. Wilberg, unpublished; “Come, Ye Children of the Lord,” Hymns, no. 58; “I Need Thee Every Hour,” Hymns, no. 98, arr. Wilberg, unpublished.